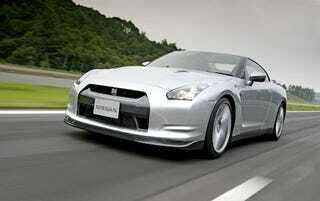 It's official, the 2009 Nissan GT-R will start at $69,850 with deliveries beginning July 7. The GT-R Premium will cost $71,900 while destination will add $1,000 to those prices. 70% are already spoken for. NASHVILLE (June 27, 2008) - Nissan today announced that deliveries of the all-new 2009 Nissan GT-R are scheduled to begin on Monday, July 7, 2008. More than 1,700 of the exotic 480-horsepower GT-R supercars, or approximately 70 percent of the first year allocation for the United States market, have already been spoken for since the announcement of a pre-sale ordering program last January. "After years of speculation and anticipation, the wait for a U.S.-spec Nissan GT-R is over," said Al Castignetti, vice president and general manager, Nissan Division, Nissan North America, Inc. "GT-R is one supercar that more than lives up to its promise, with independent testing by the leading auto enthusiasts magazines and online sites producing performance results that only a handful of production cars have ever attained - much less at a $70,000 MSRP." A 2009 Nissan GT-R, equipped with a standard 480-horsepower, twin-turbo 3.8-liter V6 engine and advanced 6-speed dual clutch automatic transmission, recently set a lap time of 7 minutes 29 seconds at the famed Nürburgring Nordschleife, one of the fastest times achieved by a production-spec vehicle to date.